Senior pets are different than younger pets. As pets grow older, they require different levels of care and veterinary attention. How Can I Better Care for My Senior Pet? Senior pets need annual check ups that include several diagnostics. Exam - this is a "physical," where the vet observes any abnormalities on the pet, listens to organ sounds, takes the pet's temperature, and feels for any lumps or growths. 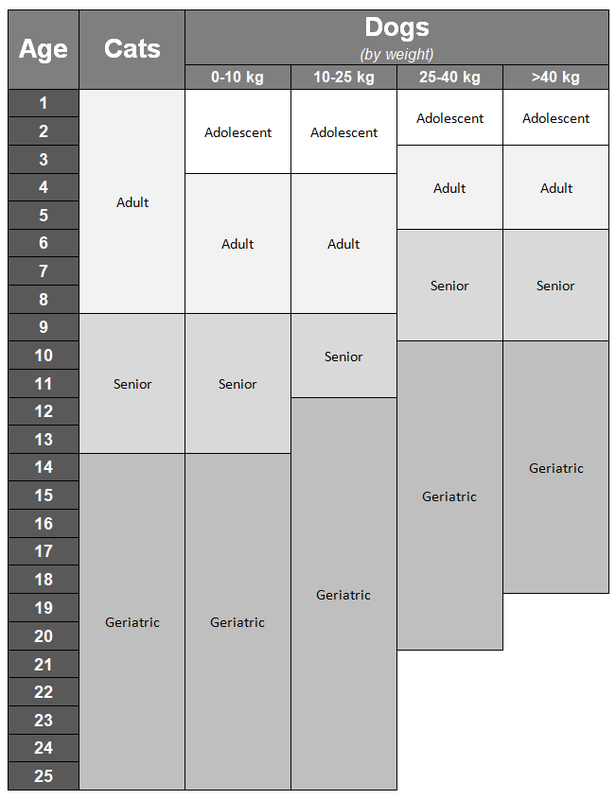 Blood work - geriatric blood work is very important in early detection of diseases. Urinalysis - urinalysis is almost always done in unison with blood work, to ensure the kidneys and bladder are healthy. Blood work alone cannot give a complete picture of kidney and bladder health. Senior pets often develop joint and bone issues. These are made worse if the pet is overweight. We offer free weight checks with our Veterinary Assistants, just stop in and we can weigh your pet and feel for fat coverage. Exercise is also important to weight management. Ensure you are not overworking your pet, as this can be hard on their joints, but also ensure they get plenty of time to run around and get their blood pumping. This helps to maintain good heart health. Routine dental care requires anesthesia, which is risky for older dogs. To decrease the risk of dental infections and the frequency of dental procedures, brush your pet's teeth regularly. Sick pets will often stop eating. It is important to monitor how much your pet eats so you know if something is wrong. The nutrition in your pet's food is also important. Make sure your pet has a complete and balanced diet. There are some senior pet formulas on the market, but most senior pets eat specialized formulas to help with specific health issues (such as urinary or kidney care, gastrointestinal care, or dental health). Different diseases can also cause your pet to drink more or less than usual. Monitor drinking to ensure you are aware if a problem arises. Ensure your pet always has clean, fresh water available to avoid bacterial infections.